An alarming paradox has taken shape in legislation before [the United States’] Congress: Our representatives would violate Americans’ First Amendment rights in order to protect the State of Israel. The progressive group MoveOn.org opposes the legislation as it would criminalize free speech, as does the organization J Street (which opposes boycotts of Israel) because the bills threaten free speech. The scary part? There are now 291 cosponsors for what amounts to violating our rights: 46 in the Senate (14 Democrats; 32 Republicans), and 245 in the House (182 Republicans; 63 Democrats). Particularly distressing to this Connecticut voter is that one of my senators, Democrat Richard Blumenthal, is among those cosponsors as are two Connecticut Congressmen, Joe Courtney (D-2nd District) and John B. Larson (D-1st District). What could motivate our representatives to violate their oath of office to “support the Constitution of the United States,” historically the Senate’s very first act, the “Oath Act” of May 5, 1789? We know that this legislation is a priority for the Israeli lobby, the American Israel Public Affairs Committee (AIPAC). According to The Jewish Telegraphic Agency, AIPAC helped draft the bills which are also supported by the group Christians United for Israel. Should we assume that the promise of AIPAC campaign money and/or AIPAC’s historically effective threats to incumbents’ reelection or other corporate interests would “trump” our representatives’ obligation to uphold the rights of their constituents? Or that historic devotion to Israel as our “cop on the beat” or as tester/recipient of our weapon systems are more important to our “national interests” than Americans’ rights? The irony is that the BDS movement against Israel is an effort to non-violently defend the human rights of Palestinians, which Israel has egregiously violated for decades. This is despite scores of UN Security Council resolutions and continuous Palestinian resistance to their dispossession since 1948 when over 80 percent of the majority (Christian and Muslim) population was expelled from historic Palestine by Zionist forces. Recognize the fundamental rights of the Arab-Palestinian citizens of Israel–over 20 percent of Israel’s population–to full equality. By law Palestinian-Israelis are discriminated against because they are not Jews, especially evident in ongoing displacement from their lands in Israel. In sum, Israel is an apartheid-like state in its “legal” discrimination of non-Jews. Implement the inalienable right of Palestinian refugees to return to their homes and lands according to UN Resolution 194 which itself is based on four bodies of international law. Israel’s admission to the UN was conditional upon its implementation of 194, though it has failed to comply. 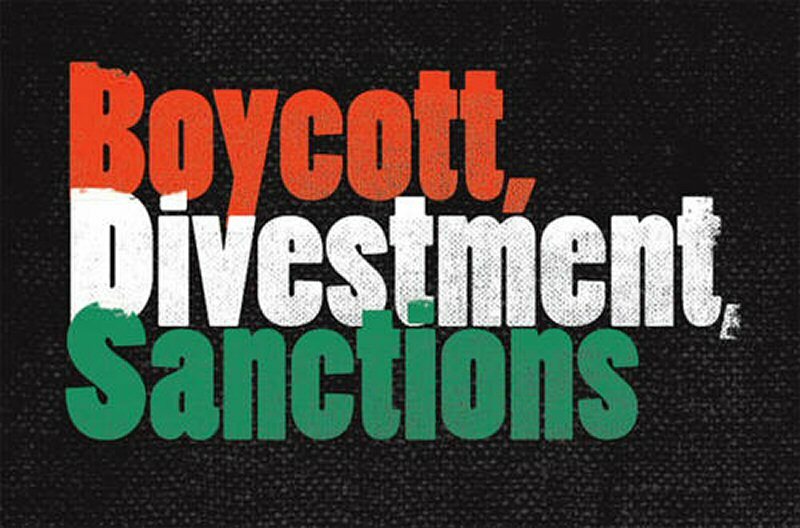 A likely reason for this Congressional move to “protect Israel” may be that the U.S., like Israel, recognizes that BDS is a successful, growing movement with Israel increasingly viewed as a pariah by the international community. For examples, a UN report notes that in 2014 foreign investment in Israel dropped by 50 percent “primarily caused by the fallout from the Israel’s . . . Operation Protective Edge [Gaza] and international boycotts against the country for alleged violations of international law.” Several U.S. churches have voted to divest from Israel, as well as in companies targeted by BDS movement such as Veolia, SodaStream, G4S security services; cities like Portland OR, Berkeley, Durham NC, and Sacramento followed by divesting from some of these companies too; Israeli products like Sabra hummus and Ahava are being removed from store shelves, pension funds have divested from companies like Caterpillar which bulldozes Palestinian homes. The Green Party of the U.S. is the only American political party to endorse BDS. U.S. support for Israel, despite growing international condemnation of its practices, is reminiscent of the Reagan Administration’s response to the South African anti-apartheid divestment movement. As an ally of South Africa’s white minority government (purportedly in fighting communism), Reagan sought “constructive engagement” instead of economic sanctions. Eventually Congress passed the Comprehensive Anti-Apartheid Act of 1986, and even overrode Reagan’s veto of it. Given this progressive history, now could be the moment for the U.S. to make a genuine about face toward ending the Palestinian-Israeli conflict. Rather than harming our own citizens with undemocratic measures like the Anti-Boycott Act, our Congress must reject it and uphold the U.S. value of equality before the law. We must stop shielding Israel at the UN; stop giving Israel over $3 billion of our tax dollars annually until Israel complies with international law–a first step being ending its military occupation/settlement of the West Bank and siege of Gaza. Let’s not follow the ultimately self-defeating behavior of the Israeli government which has already outlawed any support for BDS, exemplified in Israel’s refusing entry to American BDS supporter Rabbi Alyssa Wise of Jewish Voices for Peace and her interfaith delegation. Their crime: intending to meet with peace activists and faith leaders and visit their respective holy sites. What has Israel got to lose? Its ability to perpetuate injustice and flout international law. What has the U.S. got to lose? Our constitutional rights to free speech and organized political opposition. Before becoming a clinical psychologist, Justine McCabe, PhD, was an academic anthropologist, and did field work in Lebanon, Iran and the Palestinian Occupied Territories. This piece was originally published on CT Viewpoints.